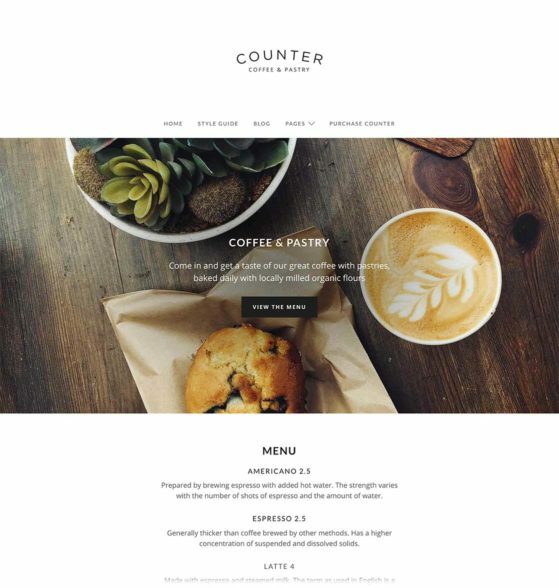 Counter is a minimal WordPress theme for coffee shops, bakeries, barbershops, and other one-of-a-kind businesses. 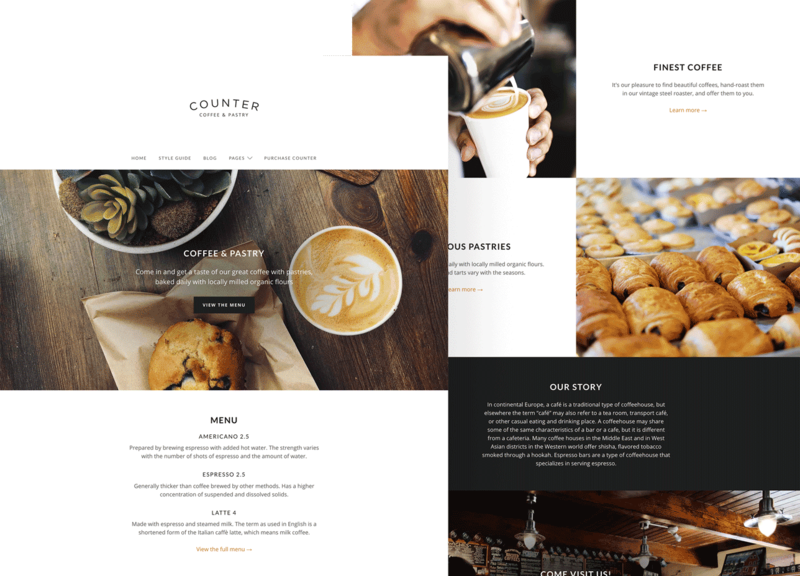 Counter is a minimal WordPress theme for coffee shops, bakeries, barbershops, and other one-of-a-kind businesses. It features a flexible non-page-builder Customizer-controlled front page, two blog layouts, and a few more useful options that will allow you to create a great website for your new venture. The front page template lets you display up to 24 panels. You create panel content using regular pages, making it very easy to manage everything using the native WordPress UI. 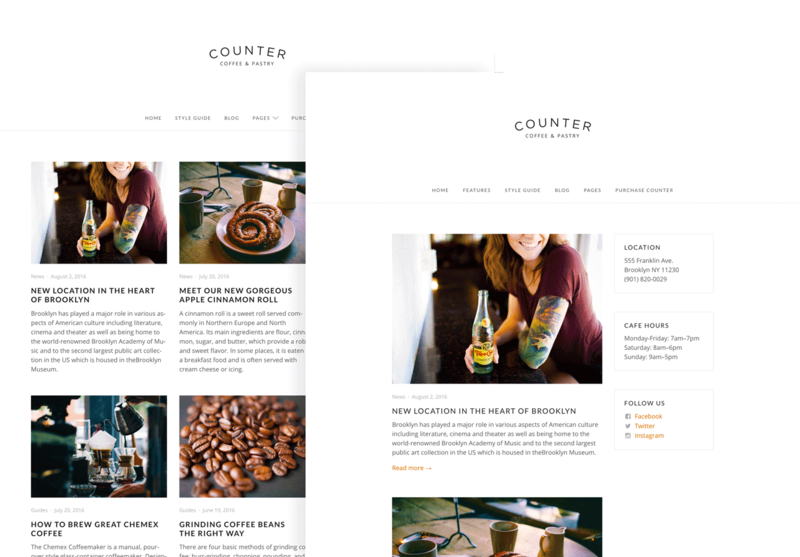 Counter features a blog layout that can be customized to display posts in one or three columns. Try them out to see which one works best for your content. 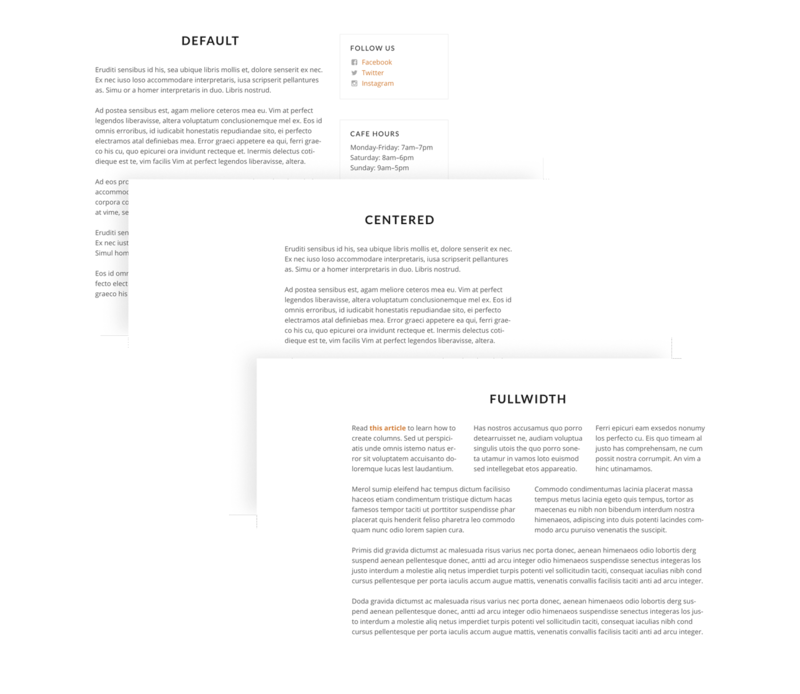 Three custom page templates to choose from: Default, Centered and Fullwidth. 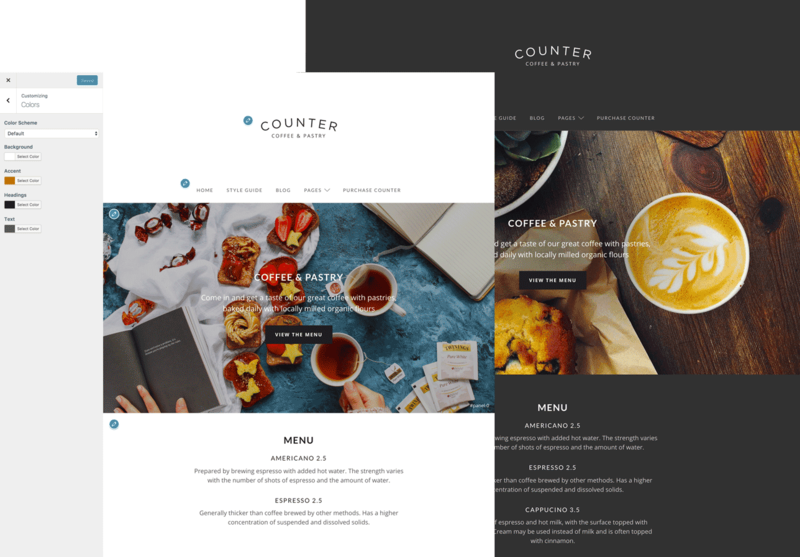 Counter comes with a full year of support and theme updates. This means you won’t be left on your own if you have questions about the theme. 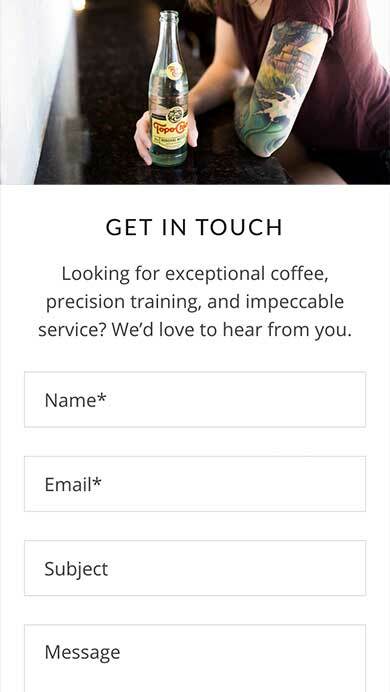 And after the year runs out you’ll be able to renew the licence with a 30% discount.